Rising home prices, higher interest rates and increased building material costs have pressured housing affordability to a 10-year low, the National Association of Home Builders finds. Keen market observers have been watching this situation take shape for quite some time. Nationally, median household income has risen 2.6 percent in the last 12 months, while home prices are up 6.0 percent. That kind of gap will eventually create fewer sales due to affordability concerns, which is happening in several markets, especially in the middle to high-middle price ranges. 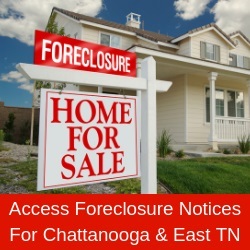 New listings in the Chattanooga region increased 11.7 percent to 1,291. Pending sales were up 8.7 percent to 938. Inventory levels shrank 13.2 percent to 2,906 units. Prices continued to gain traction. The median sales price increased 6.2 percent to $188,000. Days on market was down 18.0 percent to 41 days. Sellers were encouraged as months supply of inventory was down 14.6 percent to 3.5 months. While some are starting to look for recessionary signs like fewer sales, dropping prices and even foreclosures, others are taking a more cautious and research-based approached to their predictions. The fact remains that the trends do not yet support a dramatic shift away from what has been experienced over the last several years. Housing starts are performing admirably if not excitingly, prices are still inching upward, supply remains low and consumers are optimistic. The U.S. economy is under scrutiny but certainly not deteriorating.